Lieutenant Norishige Kanai said on social media that he was concerned he wouldn’t fit into the spacecraft that would return him to Earth. Lt Kanai, 41, was selected as an astronaut candidate by the Japan Aerospace Exploration Agency (JAXA) in 2009. 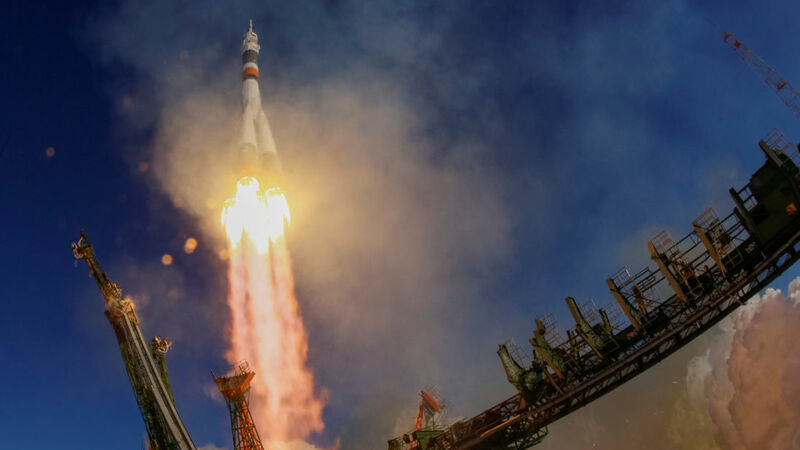 He launched as JAXA’s crew representative on Expedition 54 to the International Space Station (ISS) in December. Lt Kanai tweeted: “Good morning, everybody. I have a major announcement today. We had our bodies measured after reaching space, and wow, wow, wow, I had actually grown by as much as 9cm! Astronauts are tightly measured for their placement in the Soyuz capsules which return them to Earth. Although it is normal for astronauts to grow a few inches when in space, they always return to their regular height when back under the gravitational pull of the Earth’s surface. Research by NASA has shown that space travel can cause atrophy in the muscles supporting the spine, which often don’t return to normal even weeks after their return to Earth. At the time, the researchers said their work “could provide helpful physiological information to support a manned mission to Mars”.